Papua New Guinea Prime Minister Peter O’Neill , has extended his congratulations to Donald Trump following his success in the vote count yesterday in the United States Presidential Election. "I send Papua New Guinea’s best wishes following the election of Donald Trump, and congratulate him on his election to become the 45th President of the United States," the Prime Minister said. "Papua New Guinea looks forward to working with the incoming Administration when it is sworn into office in January 2017. 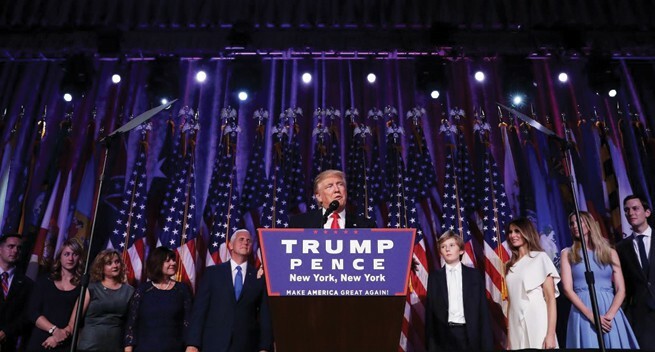 "It is clear the American people have expressed their confidence in Donald Trump both in the popular vote and through the electoral college vote. "This has been one of the most controversial Presidential campaigns in the history of the United States and now there is an outcome. "The result of the election is a decision of the American people and Papua New Guinea will work with the elected Government of the day, as we do in every partner nation. "Our Embassy in Washington DC will look to engage with the incoming administration at the appropriate time and strengthening relations between our two countries. "Mr Trump is a successful businessman and now has the opportunity to develop his vision for the United States and its engagement with its international partners." The Prime Minister also congratulated Hillary Clinton for her hard-fought campaign and thanked her for her relationship with Papua New Guinea and her inspiration to women and girls around the world. "I send my best regards to Hillary Clinton, who is a long-standing friend of Papua New Guinea, and I congratulate her for a solid election campaign. "Secretary Clinton has broken through barriers and is an inspiration to women in our country. "I hope Hillary will maintain contact with Papua New Guinea into the future."